FTC short for the Federal Trade Commission is the main regulator of data protection within the United States. For European Union – All 28 countries are mandated to abide by guidelines standardized by the General Data Protection Regulation (GDPR). It has also imposed strict rules on controlling and processing personally identifiable information. Australia follows the privacy act in 1988 to govern data privacy for their mobile apps. This includes safeguarding an individual's personal information and governing collection and storage of that information adequately. This act groups 13 principles that must be abided by. In Canada, Personal Information Protection and Electronic Documents Act (PIPEDA) has enforced to take measures to protect, collect and use consumer data adequately. 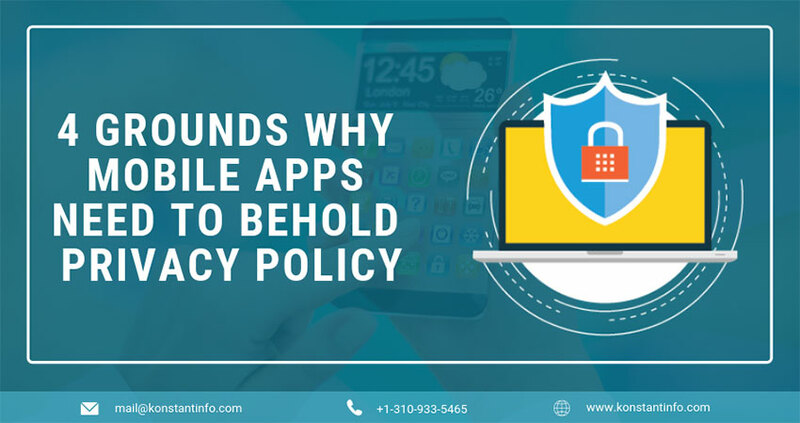 The reason to enforce privacy policies is that if organizations collect, store or share personal data then they are accountable for almost every state, country, state-sponsored organizations to explain what they plan to do with that data.